After many many hours at various locations along the river Wye, in the forest of Dean and in darkest Wales, I was finally rewarded with about 60 seconds of Otter just before it got dark. I am not complaining, it was absolutely magical. 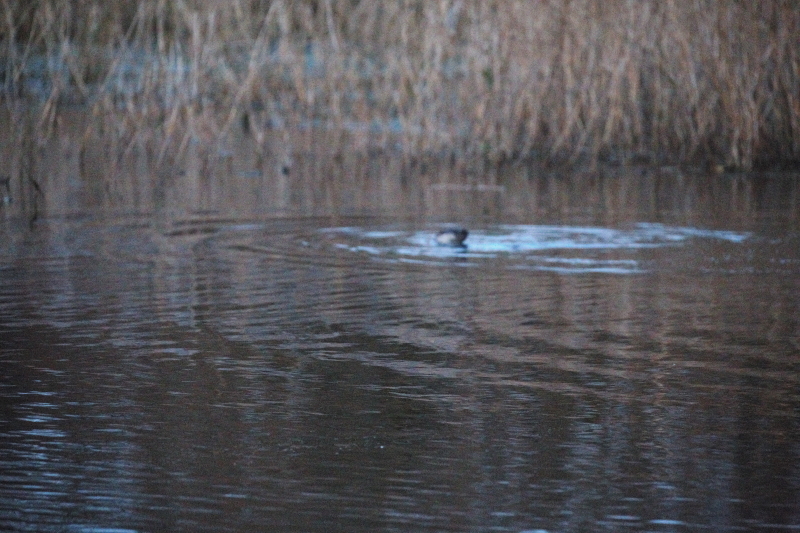 I have seen Otters several times in the past but this was the first time since moving to Gloucestershire. This otter is a Welsh otter…. nothing wrong with that. I got the tip off that it might be about when suddenly all the ducks that were settling in the reed beds for the night took off. The otter then appeared on the far side of the lake where I was sat, freezing my nuts off in a sort of open hide… if that makes any sense. It had two sides and was open on the sides away from the lake, some of you will know where I was from that description. I had to use ISO 16,000 as it was so dark and I was using a 400 mm zoom lens. Thus the photo quality is not 100%. Most of the time it was swimming underwater and only surfaced a couple of times. 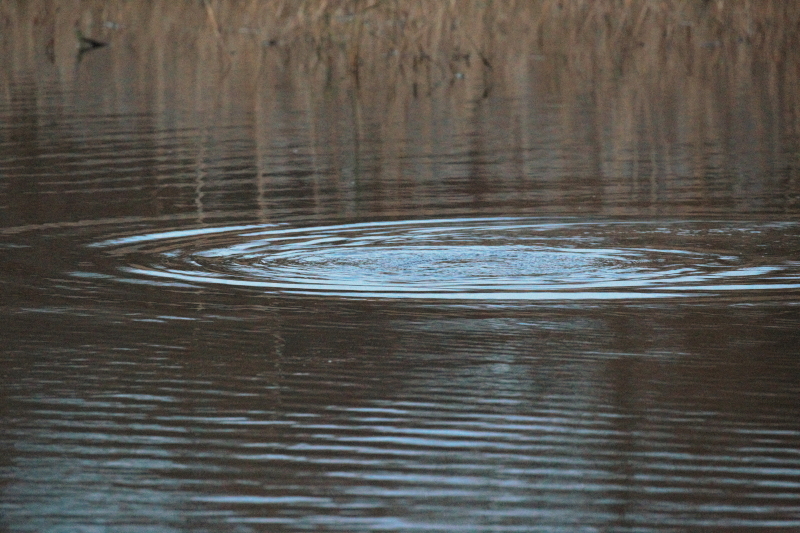 It did do a nice dive and this produced the ‘ring of bright water as in the book title. Two wet days in Wales.